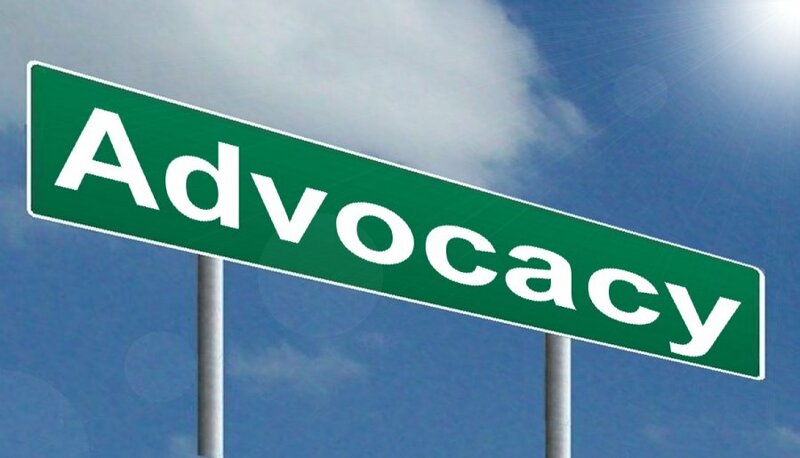 What is Advocacy? That was my first thought when I was told about a course offered at Ohio State University (OSU) College of Pharmacy. The course was titled Advocacy in Pharmacy. As a professional student, I decided to enroll in the course to find out. As part of the course, we were encouraged to participate in an advocacy event. I chose to attend the Ohio Pharmacist’s Association’s (OPA’s) Legislative Night to see for myself what role advocacy plays in politics. At the event, I was greeted by three speakers: Cathy Kuhn, Megan Marchal, and Antonio Ciaccia. That night, they shared with us their experiences in advocacy and taught me what it means to advocate for myself and my community. Our first speaker that night was Cathy Kuhn, the president of OPA. What surprised me most about Cathy’s story was that, despite being the president of OPA, she was not involved with any student or pharmacy organizations while she was still in school. It was not until she became a pharmacist and had started a family that she decided to participate in OPA as an active member. Her story taught me that it is never too late to participate in advocacy, and it is not difficult to start. All you need to do is come to meetings and say yes when someone offers you an opportunity to get involved. The next person to speak to us was Megan Marchal, a member of both OPA and the State of Ohio Board of Pharmacy. As a member of OPA, Megan’s background and Cathy’s background could not be more different. As a student, Megan was an active member in all the organizations she had joined. Even after graduation, she continues to contribute to the pharmacy community. In addition to being an active member of OPA and the Board of Pharmacy, Megan also volunteered as a guest lecturer at the OSU College of Pharmacy. Despite their differences, Megan’s path and Cathy’s path both converged when they joined OPA. Megan’s story has taught me that advocacy is about like-minded people from diverse backgrounds coming together and working towards a common goal. The final speaker for the night was Antonio Ciaccia, a lobbyist for OPA. Instead of giving us a story about himself, he focused more on the nature of his job and explained his role in helping to pass good legislations and stopping any bad ones from “seeing the light of day.” As he was telling us about the various cases that he had worked on, he commented on how it was important for pharmacists to have a say in the practice of pharmacy. Instead of sitting back and having other people in the legislature make laws about our profession, we should find a way to voice our opinion. Antonio believes that the pharmacy profession should have the right to be regulated by those who understand the practice of pharmacy. That is why organizations like OPA and the Ohio Board of Pharmacy are important to pharmacists. By listening to Antonio, I have learned that advocacy is about finding your voice and making sure it’s heard. Overall, I was really glad that I chose to attend this event. It was quite uplifting to hear such passionate speakers talk about their advocacy experiences. From their stories, I have learned the importance of finding something I’m passionate about and working with others to bring about the change that I would like to see. That is advocacy in a nutshell. Moving forward, I would like to incorporate advocacy into my daily activities by speaking up when I think there is a need for change. Mandatory Counseling: What Exactly is the Issue? The discussion that happened this week was an enlightening experience for me. Up until now, I have only ever worked at one retail pharmacy situated in a grocery store. 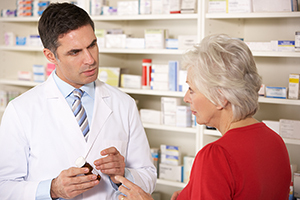 In our store, the policy for counseling usually involves technicians asking the patient, during checkout, if they have any questions or if they would like to speak with the pharmacist, to which the patient often promptly said no and the technician would proceed to ask them to sign their name as proof of refusal for counsel. This brief exchange usually takes less than 10 seconds. Therefore, I was quite baffled to learn, in the course of my research about mandatory counseling, that there are certain pharmacy technicians who can blatantly ask their patients to sign their name without ever explaining what the signature was for. I understand that, unlike a grocery store, there are certain retail pharmacies whose sole source of income is from Rx filling and have daily quotas that they are forced to meet. But that should not be an excuse for ignoring one of the most crucial component of the pharmacy profession. Now, whether this technician was never educated in pharmacy law or is under extreme pressure to meet quotas such that he/she is forced to “cut corners,” we’ll never know. However, from this article, I had come to understand why there are some who support the mandate for counseling. Initially, my experience in pharmacy has taught me that most patients usually refuse the offer to counsel anyway so targeting the pharmacists with this regulation would not solve the problem and would, instead, put a strain on the relationship between the pharmacist and patients, who would like nothing more than to quickly pick up their medication and go home. Despite understanding why people would like to support this notion, I still would opposed the concept of mandatory counseling. One of the main reason for my opposition was the financial toll this law would placed on the system; it would certainly cost a hefty sum to establish an entity, whose purpose is to monitor compliance and enforce this law. Prior to the class discussion, I had never even considered the financial aspects of the situation and am glad that a classmate pointed this out during our discussion. Another important aspect to consider is whether pharmacies, both retail and hospital, would have the time and manpower to comply with this regulation, should it come to pass. Although the idea behind this mandate, to reduce adverse drug events, is noble and ideal, carrying it out would be difficult for the pharmacists, unless they are given more help or their current workload is reduced. To be perfectly honest, I believe that neither of these scenarios are likely. When there are pharmacists out there who avoid consuming liquid because they are afraid that they may not have time to use the restroom during their shift, the last thing they would want is an additional task they need to complete. The problem here does not lie with the pharmacist; I believe that any pharmacists, given the chance, would be more than willing to sit down and talk with the patient about their medication. The problem lies in the limited amount of time available to the pharmacist and the ever-increasing workload that they face everyday. Unless there are additional laws passed to compensate the pharmacists for their time spent counseling or to limit the workload placed on one pharmacist, mandatory counseling would be a difficult legislation to follow or enforce. I believe that a good temporarily solution to the problem would be to heavily enforce current laws on the offer to counsel such that pharmacies, such as the one in the first article above, would be heavily penalized for attempting to skip an important step in the patient education process. In the long term, we should consider passing additional legislations to improve pharmacists accessibility while reducing their workload. Pharmacy in the News: Hospitals Manufacturing Drugs?! The following post is a response to the following articles published by the New York Times. To summarize the article, a group of hospitals (~ 300), led by Intermountain Healthcare, a nonprofit hospital group based in Salt Lake City, is attempting to start their own drug manufacturing company. The main goal of this company is to supply these hospitals with medications at a reasonable price. However, the important take-away from this article is not just this new model for medication supply management, but the reasons for why these hospitals have decided to invest in drug manufacturing. While one of their main reasons was to avoid any drug shortages in the future, the main reason is hinted at by the title of the article itself; disgusted by some of the business practices of some drug manufacturers, these nonprofit hospital organizations has decided to ban together and strike back at investors who needlessly raise prices on important medication in order to profit off of patients and hospitals. One notorious example involves the generic drug, Daraprim. The modus operandi of these investors is to secretly acquire all of the manufacturers of an off-patent drug in an attempt to monopolize the supply of that drug. Once a monopoly has been established, they will then raise the price of that drug significantly. In this way, Daraprim’s price went from $13.50 a pill to $750 almost overnight. This move, from the healthcare community, is a statement that they will not stand by while profiteers seek to benefit from the poor and desperate. On an alternate note, another reason that this hospital-focused manufacturing organization is being established is to prevent or minimize the effects of drug shortages on patient care. Even now, hospitals nationwide in the U.S. are still feeling the effect of drug shortages caused by natural disasters which occurred a few months back. For more information on this, please refer to a side article noted below. The drug shortages are caused not only because medicines are being diverted to Puerto Rico as part of a relief effort, but also because many major drug manufacturing companies, like Baxter and Mylan, have bases located Puerto Rico whose operations were interrupted by the storm, Hurricane Maria. Supplies of commonly used drugs, like Tylenol, and more critical drugs, like HIV-treating drug Prezista, have been reduced and becoming scarce due to the storm. And while supplies of drugs are in shortages, other medical supplies are being affected too. For example, shipments of mesh and surgical scalpel that comes from the island has been reduced. This move by Intermountain Healthcare to supply their own medication is a brilliant one. If other managed care organizations can follow their example, it will solve both the immediate problems like drug shortages and monopolies and also long-term problem of rising healthcare costs. This plan, named Project Rx, will allow healthcare organizations to more easily control the cost of medication production and cut out any unnecessary middlemen. “a store where medicinal drugs are dispensed and sold” and “the science or practice of the preparation and dispensing of medicinal drugs”. One of the biggest misconception about pharmacy that almost every pharmacy student knows is the belief that pharmacists only count pills. I think one of the biggest reason for this misconception may that most pharmacists only meet their patient face-to-face at a retail pharmacy counter. Pharmacists who works for the private industry or hospitals may not get the chance to see their patients as often. This leads the general public to believe that pharmacists only ever works at a retail store. Another reason for this misconception may be that patients are never made aware about the complex machinations driving medication safety, efficacy, and finance. All of these are services that pharmacists perform without the patient ever knowing, nor would they need to know. Furthermore, pharmacists usually offer free services which the patients can sometimes take for granted. One example would be the offer to counsel. Based on my experience in retail setting so far, a good majority of the patients would usually refuse the offer either because they have taken the medication before or because they have discussed it with their physicians. Given the causes for the misconceptions of the pharmacy profession, patient education alone is not enough to clear up the confusion. Pharmacists need to be allowed to perform more patient care services which falls within the scope of their expertise and be recognized and paid for these services. This is why advocacy is so important; it raises awareness and can get appropriate laws to be passed. I believe the attainment of provider status for the pharmacy profession is a step in the right direction and is a necessary step for the pharmacy profession to define itself and clear up any deeply-rooted misconception.